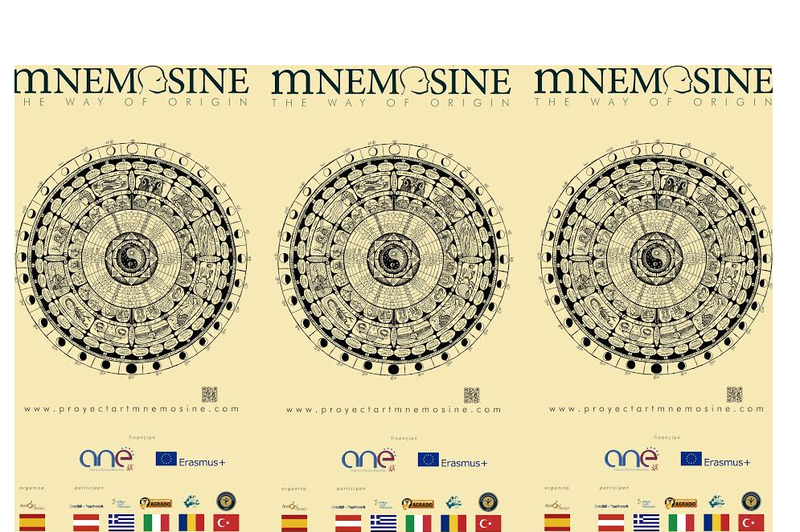 Mnemosyne is a strategic Partership in the field for youth, from Erasmus Plus Program. In these project we participate 6 association, Asociación Juvenil del Valle del Guadalhorce, from Spain, as coordinator association. Associazione Agrado, Italy. Asociatia of Tineri din Ardeal, Romania. Toros University, Turkey, Credibil – JUZ Strasshof, Austria and Hellenic Youth Participation, Greece. Mnemosine´s main objective is to encourage creative-formative and culture tissue of our territoriesis to promoute the youth participation. Through non-formal education activities that promote interest in participation, artistic and creative abilities of young people. And involve entities from our territory to create synergies between them and the young participants that generate the spark needed to get it. In the myth of Mnemosyne (the Greek goddess of memory, mother of the nine muses or arts) we find an etymological link between the different arts and memory, through which we understand as forms of knowledge specific to one culture or time, they are linked to the creative process through which memory and identity of that community develops. Demonstrating how the creative process is established as a form of exploration and a way to learn about ourselves because we are part of that culture. Taking as reference the myth Mnemosyne methodology proposed training that develops from the individual learning needs, to the collective. To result in an individual artistic expression (work) in which knowledge of the international group that has developed is reflected. Through an online training course which involved 60 young people, 10 from each country represented, youth work the three lesson; Identity, Languages and Cartography, as a training tool using a Moodle platform that allows interaction between working´s groups intercultural, heterogeneous and interdisciplinary. The training has four phases for teaching unit, 1st reflection, 2nd teamwork , 3rd execution of works and 4th self-assessment. The objectives of this training are to promote the capacities of participants in learning to learn, increase their creative and artistic skills. In an education that promotes the values of equality, entrepreneurship, sustainability and inclusion. Once each teaching unit is finish, there is an event to present the results of training in a partner institution, which through various dynamics present the results of Mnemosyne and give information to the audience about the possibilities of Erasmus Plus present.